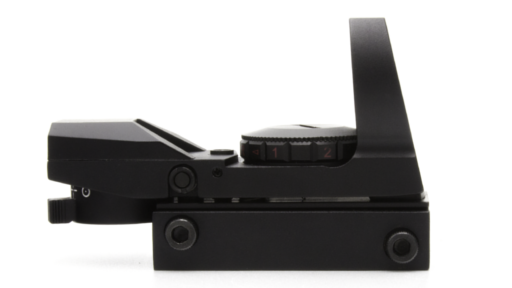 Simplicity meets Tactical with the Original Bravo-X Red & Green Dot Sight. Accurate. Precise. Swift. 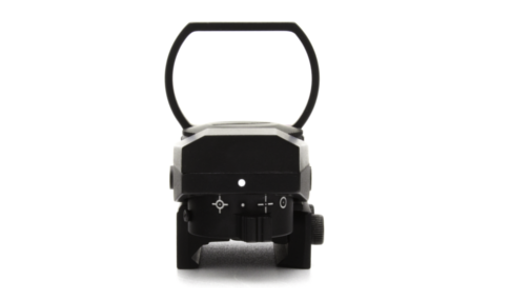 3 words that sum up the Bravo-X Red/Green Dot Sight. 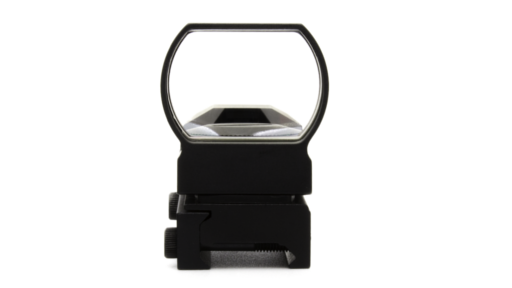 Designed for accuracy and swift mobility, the Bravo-X has unlimited field of view with its four-reticle, incredibly accurate, anti-reflective sight that’s perfect for low light tactical situations. While being highly optimized for close quarters maneuvers, it still maintains the strong versatility to be perfect enough for all-purpose shooting. 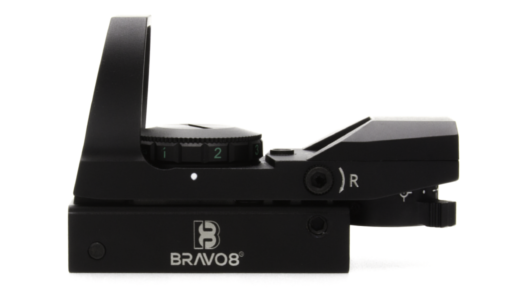 The Bravo-X boasts fast target acquisition capability, has unlimited field of view, 1 X magnification and the brightness clarity of the multi-coated Bravo8 optics. 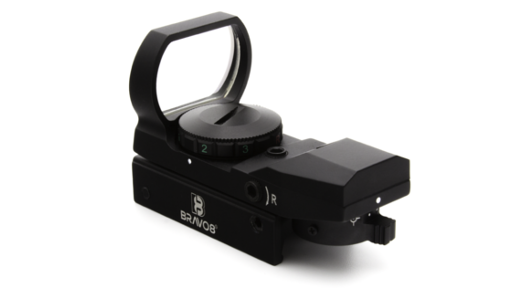 The Bravo-X is also equipped with 4 MOA Tactical Red + Green Dot Optics and its integrated mount allows you to attach it to the majority of all weapon systems.